And after getting jumbo asparagus, testing a few ways of prepping, and working on our skills with the vegetable peeler, I think we finally nailed it. Amiright? Just check those gorgeous paper-thin ribbons.... Here’s how to grill asparagus without the spears slipping through the grill rack (and you getting in trouble for cursing up a storm in the moments that follow). Instructions. 01 Prepare the grill for direct cooking over medium heat (350° to 450°F). 02 Remove and discard the tough bottom of each asparagus spear by grasping each end and bending it gently until it snaps at its natural point of tenderness, usually two-thirds of the way down the spear. 1 In a heavy-bottomed stockpot, cover the eggs with 1 inch (2.5 centimeters) cold water. Place over medium-high heat and bring to a boil. Turn off the heat and let rest for 3 minutes, then remove the eggs from the water with a slotted spoon. 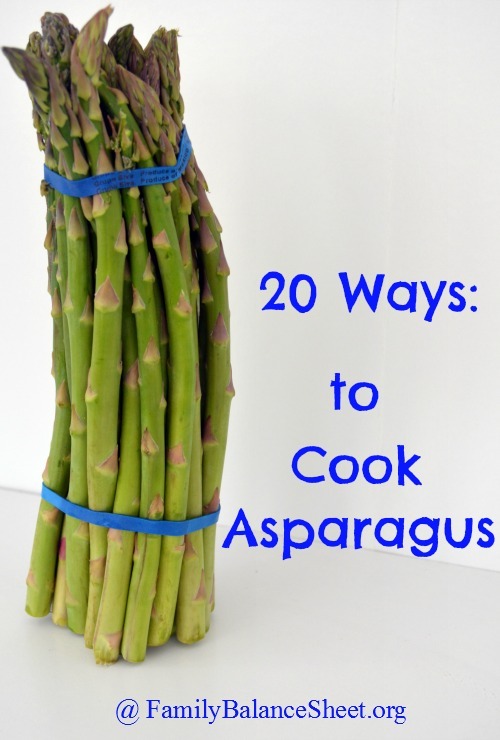 Reduce the heat to medium-high and cook the asparagus, turning the stalks frequently to coat with the vinegar, until they are crisp-tender and bright green, 10 to 15 minutes. Adjust the seasonings as desired.